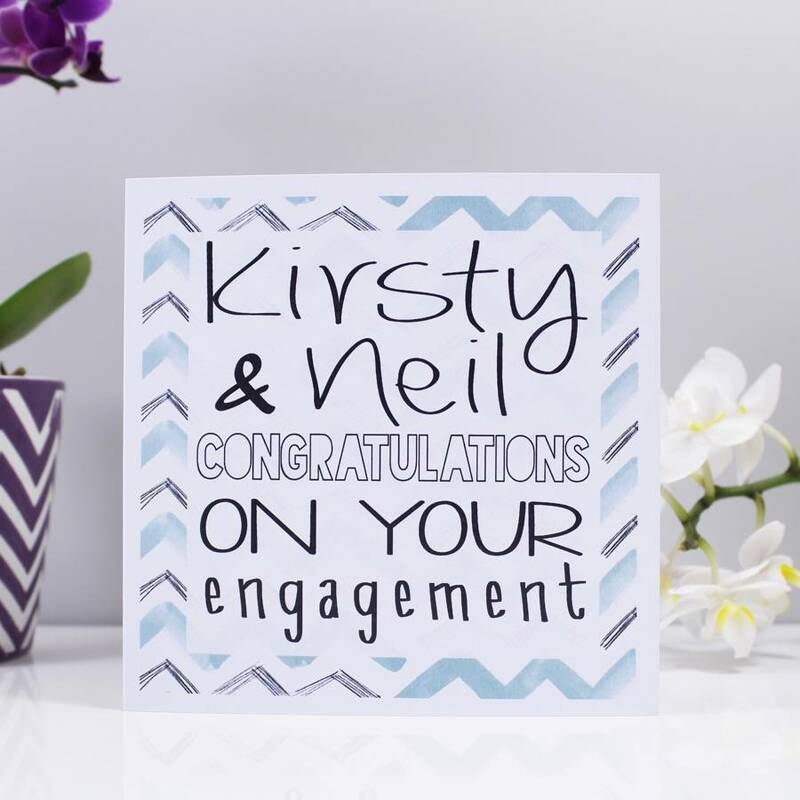 A lovely patterned and personalised card, perfect to congratulate your friends on their engagement! 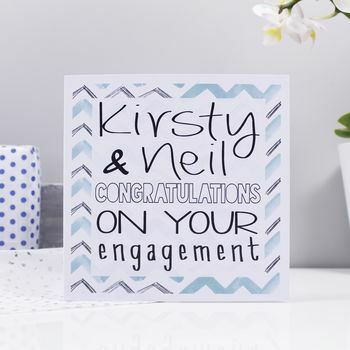 This card is the perfect way to congratulate them on their exciting news. With the personalised touch, it will be treasured as a little keepsake for years to come. You can add any occasion that is special to you, not just engagements. Simply add your personalisation into the personalisation box. The names and wording will be put onto the appropriate lines as in the photos. Please include all words, no words are automatically included. 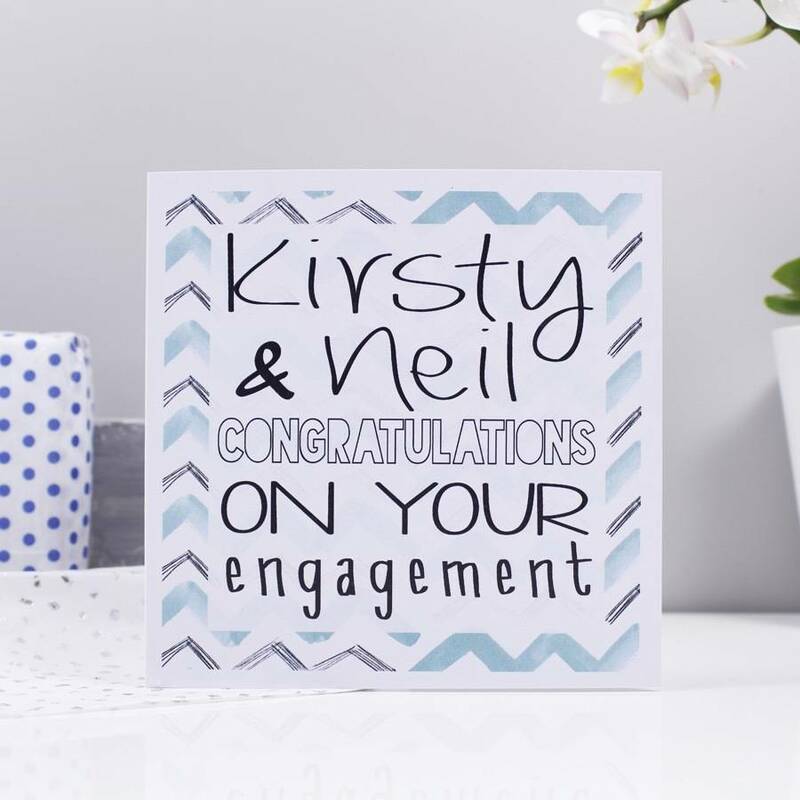 You can choose to have a large card to make that extra special impression. You can now choose between two sizes, choose the larger option to make a really special card that is sure to stand out amongst the rest! Rushed for time? Choose to send your card direct to the recipient, simply select this option for a small fee. Then type exactly what you would like in the card in the personalisation box. Please note that it will be hand written exactly as entered. So please double check your message before ordering.